If you are interested in knowing more about investment opportunities in Mongolia, please get in touch. A second enormous deposit in the Gobi Desert is found at Tavan Tolgoi (Five Hills). Tavan Tolgoi is one of the world’s largest untapped coking and thermal coal deposits. It has a total estimated resource of 6.4 billion tonnes, one quarter which is high quality coking coal. It is divided into six sections: Tsankhi, Ukhaa Khudag, Bor tolgoi, Borteeg, and Southwest and Eastern coalfields. The Tsankhi section is the largest part, and is divided into East and West Tsankhi - these have had the most focus recently. All of Tavan Tolgoi is owned by Erdenes MGL (a government owned company) except for Ukhaa Khudag section which is mined by the Mongolian Mining Corporation. Erdenes Tavan Tolgoi LLC (Erdenes TT), a subsidiary of Erdenes MGL, is managing the development of East Tsankhi, and the company is due to float on the Hong Kong, London and Ulaanbaatar stock markets sometime in the next couple of years. 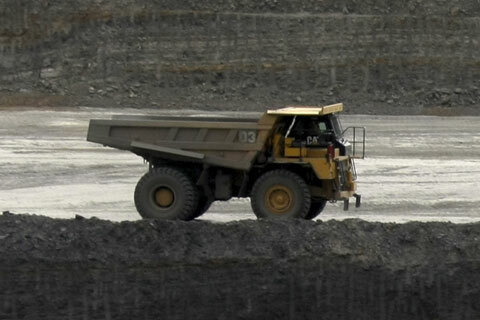 Mining of West Tsankhi is planned to be contracted to a consortium of international mining companies.